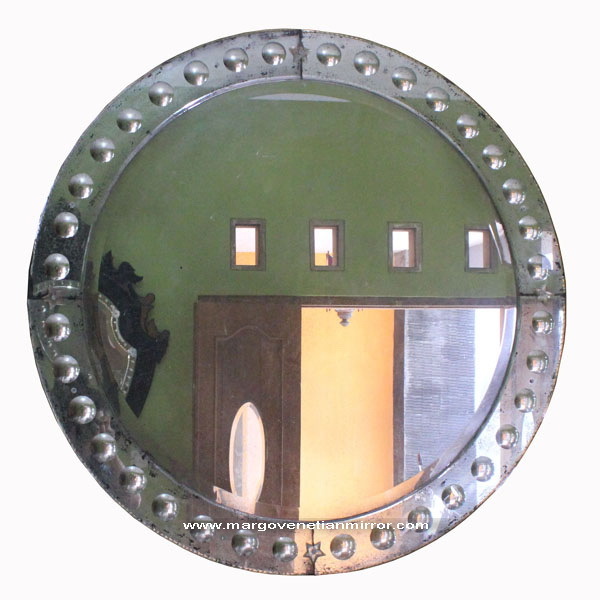 Choose Antique Mirror Round MG 014204 with round bubble design is smart choice to adorn the walls of the House. Engraving on any piece of glass adds to the elegant. Finished this style was Antiqued Mirror and black list by painted. 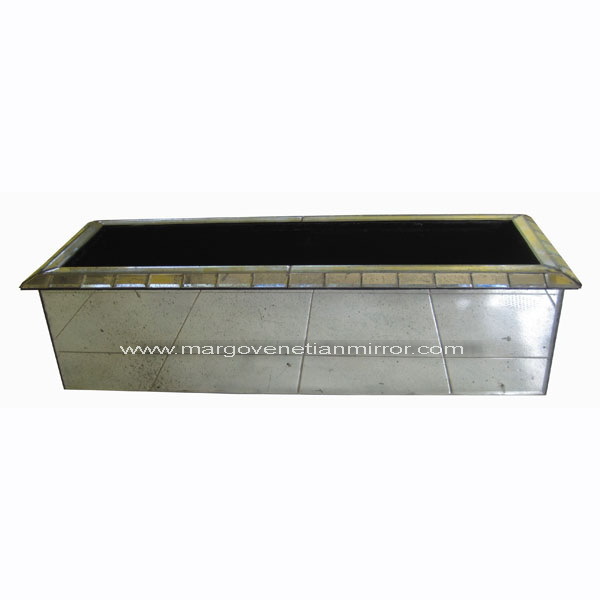 Whereas a typical of the style looks are modern mirror and classic. 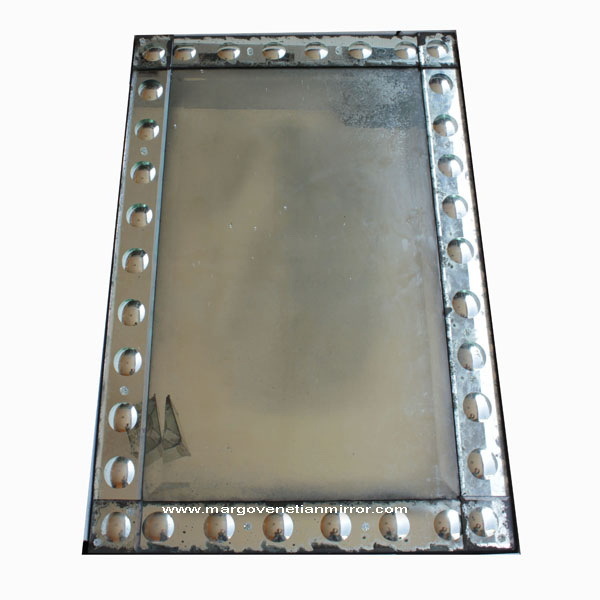 The measurement mirror is 100 x 100 cm, to be decorating a beautiful wall hanging preferably at paired. How to hang is a very easy with a 5-10 cm size of nail or screw fisher. 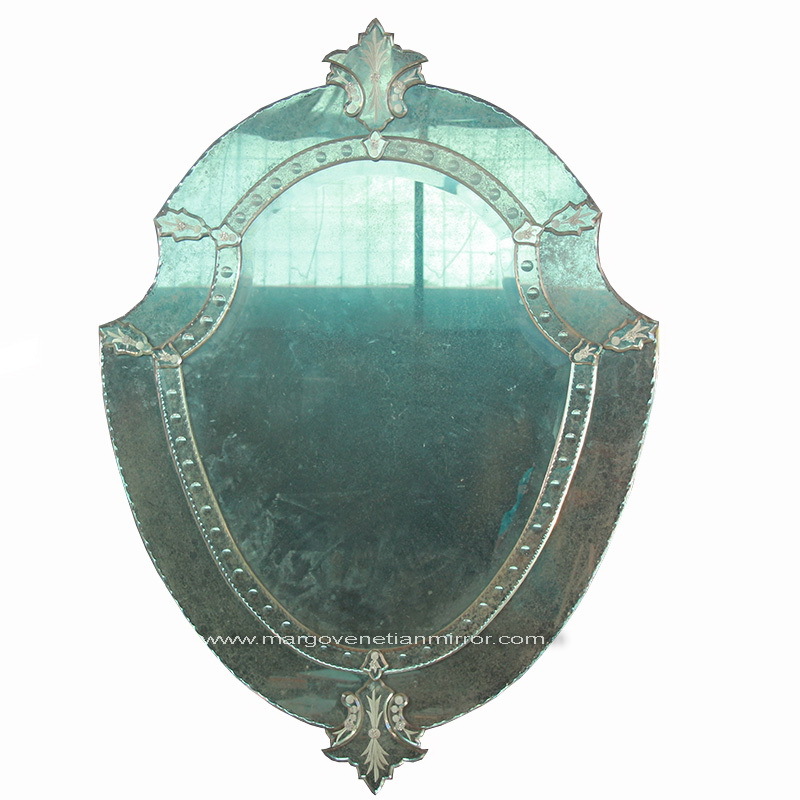 Although the actual weight of the Venetian style mirror appears very secure on the wall. The basic ingredients of this style is 50% glass with thick glass 5 mm and multiplex mm 12-18 to be order at the back of the mirror. Beveled extra on any part of the edge round of the mirror is perfecting a typical display. 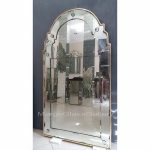 Actually Antique Venetian Mirror already exists since centuries ago or about 18th century. As for the current difficulty in get originally, although there are certainly price him reach 10,000-40,000 USD per pcs. 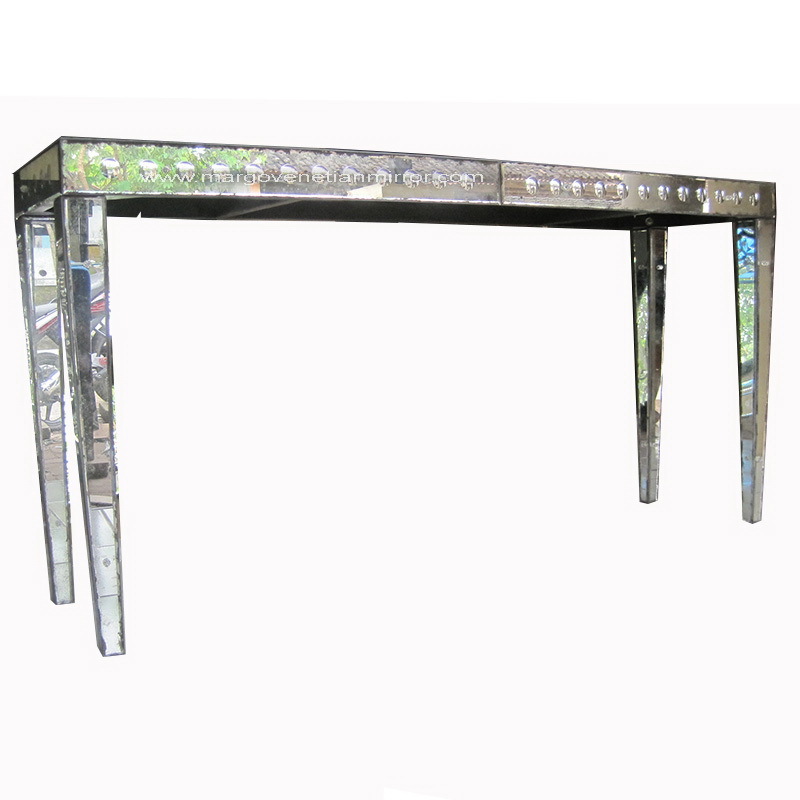 Venetian mirror is pairing it with furniture from wood. 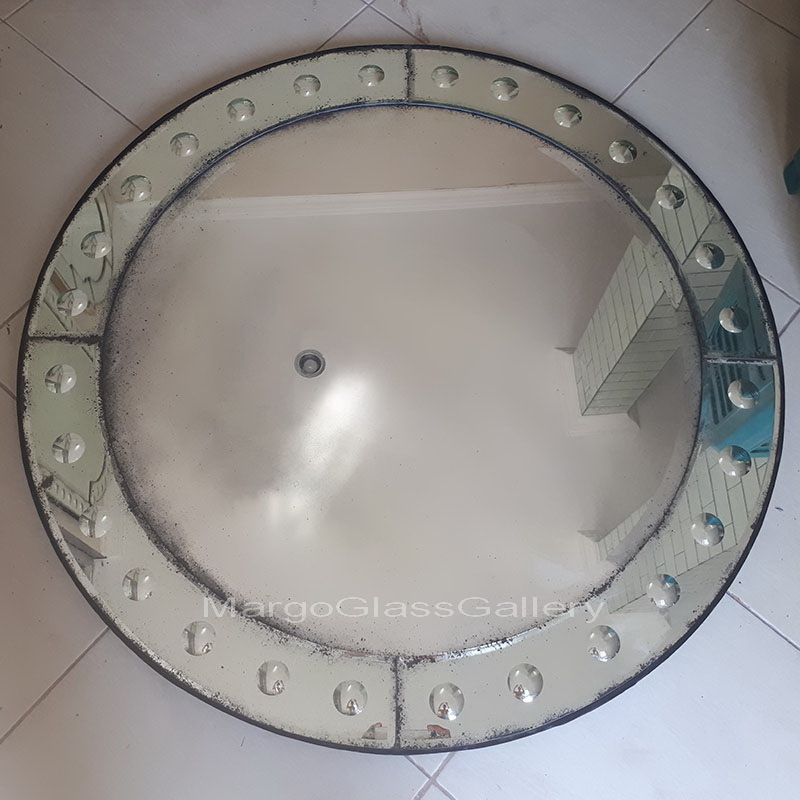 So, Margo Glass Gallery is Indonesia Manufacture wholesale can make Venetian style mirror, mirrored furniture, Antique Mirror and other mirror art new but look original classic Vintage Style Mirror. 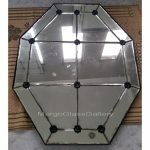 If you want consultation about wall mirror please do not hesitate because we do not have minimum order and can make for custom style. 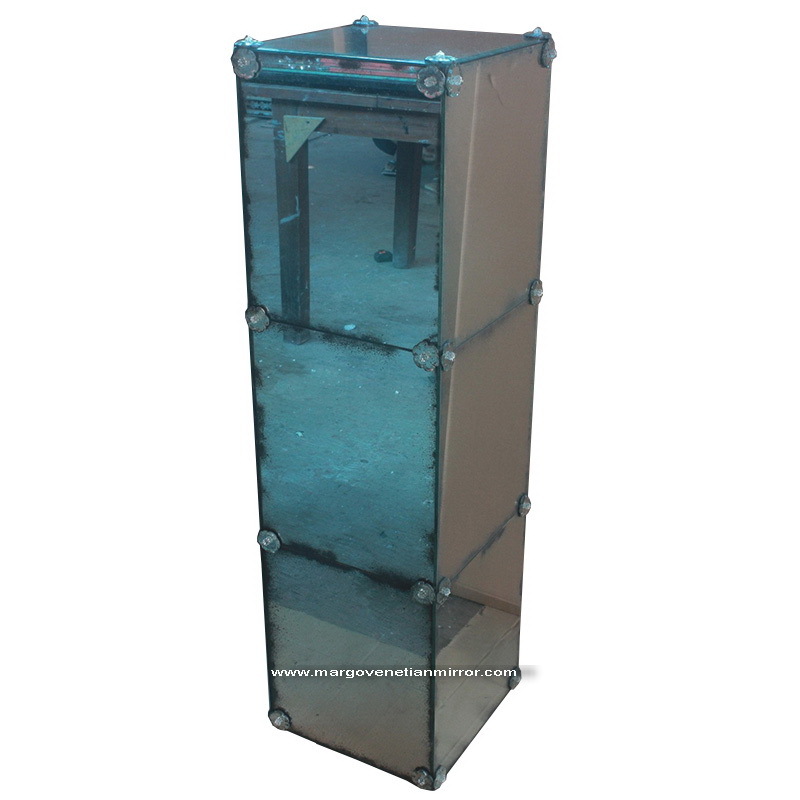 This time we make mirror for Wall hotel project, interior style project, and wholesale for shop or retail shop for local or export market.